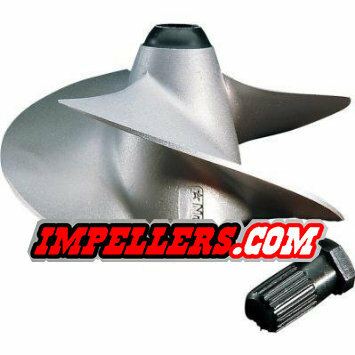 IJS Pro Impeller with their unique 3-D blade design. IJS Pro Design was developed using the latest hydrodynamics research. Blades have super-progressive pitch and minimal overlap for hard acceleration throughout the powerband and increased top-end speed performance. Precision-cast using aerospace-grade stainless steel, then heat treated, CNC machined and dynamically balanced. Best performance for your buck!